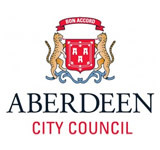 The first concerts run by Aberdeen Chamber Music Club were in 1933. In the second of these on the 1st of December 1933 The Kolish Quartet played Beethoven’s String Quartet Opus 131. Imagine it is 1947. In February of that year Aberdeen Chamber Music Club had the pleasure of listening to the Carter Trio and Leon Goosens play some beautiful Oboe Quartets. Among them was The Fantasy Quartet by E.J. Moeran. They also played Mozart’s Oboe Quartet K370. Listen to a recording of Leon Goosens. In the 49-50 season, the club was privileged to host Benjamin Britten and Peter Pears. Here you can listen to one of the Percy Grainger songs they most probably performed.